PT Bank Pembangunan Daerah Daerah Istimewa Yogyakarta - BPD DIY or known as Bank BPD DIY is a well-established regional government-owned company in Indonesia, running business in general banking industry. Bank BPD DIY is a regonal development bank of the Special Administrative Region of Yogyakarta (DIY) province. Bank BPD DIY is owned together by the provincial and municipal/regency governments in DIY. As of December 2017, Bank BPD DIY is 51% owned by the Provincial Government of DIY, 14.82% by the Regency Government of Sleman, 11.70% by the City Government of Yogyakarta, 9.82% by the Regency Government of Bantul, 6.73% by the Regency Govenment of Gunungkidul, and 5.93% by the Regional Government of Kulon Progo. As of December 2015, Bank BPD DIY has 7 branch offices, 1 sharia branch office, 34 sub branch offices, 80 cash offices, 26 payment points, 6 mobile cash units, 34 sharia service units, and 118 ATM terminals. 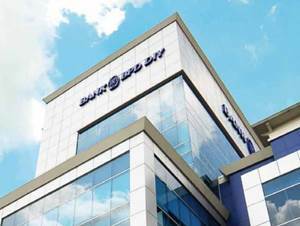 Despite of the economy slow down, Bank BPD DIY recorded a satisfiying financial result in the business year of 2017. According to information found in PT Bank Pembangunan Daerah Daerah Istimewa Yogyakarta annual report 2017 as cited by JobsCDC.com, Bank BPD DIY managed to record a total asset of Rp 10,695 billion at the end of 2017 or equal to an increase of around 9.81% compared to the previous year (Rp 9,740 billion in 2016). Total deposit went up 9.55% from Rp 7,380 billion in 2016 to Rp 8,085 billion in 2017. For loan portfolio, Bank BPD DIY recorded growth by 9.80% in 2017 to become Rp6,566 billion as compared with Rp 5,989 billion in 2016. Net Profit in 2017 grew considerably to Rp 220 billion, from Rp 212 billion in the previous year. Male / Female, single/not married and willing not to get married for 1 year. Maximum age of 23 years old, on 30 September 2018. Minimum D3 degree with a minimum GPA of 2.75, graduated from all departments except Health Sciences / Nursing, Literature and Cultural Sciences, Arts, Education, Religion and Tourism. Minimum height of 165 cm for Male and a minimum of 160 cm for Female. Have high integrity, able to communicate well and like service work. JobsCDC.com now available on android device. Download now on Google Play here. Please be aware of recruitment fraud. The entire stage of this selection process is free of charge. PT Bank Pembangunan Daerah DIY - Fresh Graduate Teller BPD DIY October 2018 will never ask for fees or upfront payments for any purposes during the recruitment process such as transportation and accommodation.